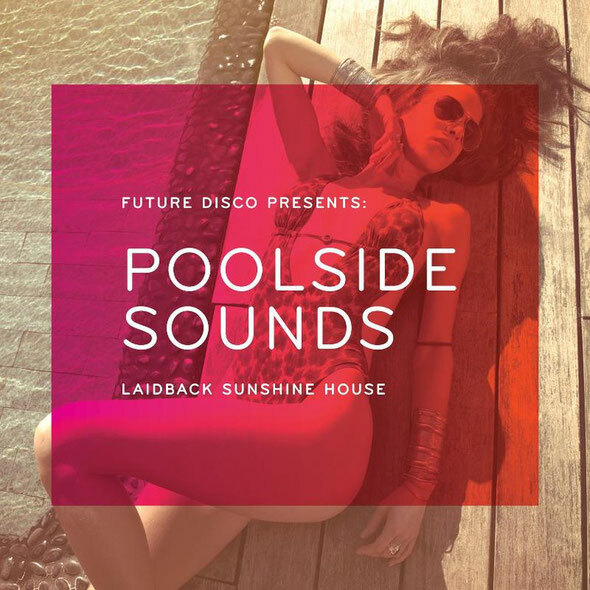 Future Disco takes a summer holiday and invites you poolside for its side series ‘Poolside Sounds’ compilation. Taking you from lounging by the pool under the clear blue sky to sundown house, perfect for any laidback occasion, the album features artists such as Maya Jane Coles, Lovebirds, The 2 Bears, The Rapture, Yacht, Crazy P and many more. Since its first release four years ago, Future Disco has achieved a cult following across the world of music and fashion. Awarded iTunes album of the year 2009, Future Disco have crafted a winning formula exploring the boundaries of contemporary house and disco music in each mix. While the traditional series maps the current trends and sounds of dancefloor's worldwide, this new addition to the family is designed as the ultimate summer listen. ‘Poolside Sounds’ carefully selects some of the hottest artists and remixes on the planet for the mix whilst making sure each one has that unique poolside feel. Big album artists such as the 2 Bears, The Rapture and Crazy P, sit alongside huge dance acts such as Maya Jane Coles, Lovebirds and Flight Facilities and combine to create a seamless mix of the finest house and disco. The aim of the album is to capture the atmosphere of a hot day by the pool and lead the listener through sunset and into the night. The tempos rise and the party gets started, and this is a great mix to start or end the night with. It’s out now.